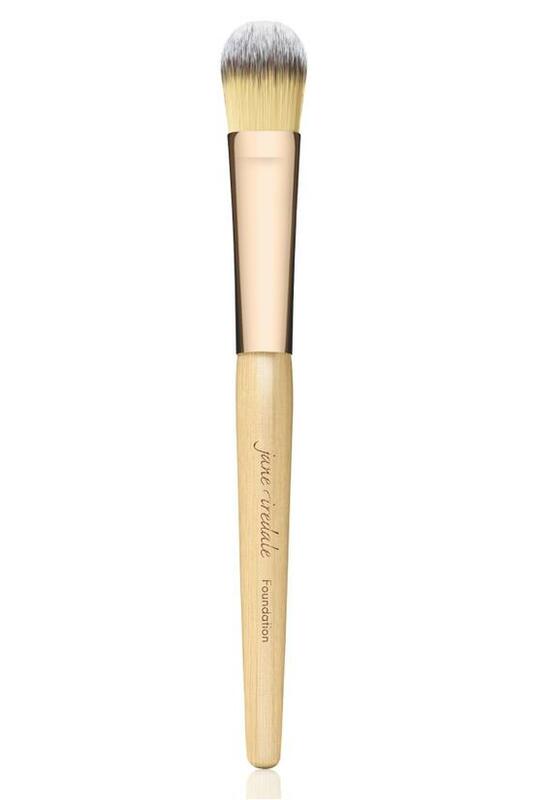 A chiseled, synthetic brush designed for application of liquid foundation, gel or cream product. Allows application to difficult parts of the face such as the nose area and inner corner of the eye. · Unique and thoughtfully developed as a superior option to natural hair. · Specially designed for better payoff and coverage. · Easy to clean and dry. · No shedding or breaking. Use dry for a heavier coverage of Liquid Minerals. Wet with one of the hydration sprays to apply a lighter layer of Liquid Minerals.